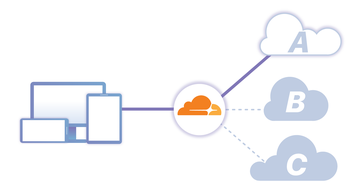 Content Delivery Network (CDN) operator Cloudflare is offering to slash data transfer fees for customers who purchase their cloud services from the members of the newly established organization called the Bandwidth Alliance. The founding members of the alliance include Automattic , Backblaze, Digital Ocean, DreamHost, IBM, Linode, Microsoft, Packet, Scaleway and Vapor IO. Cloudflare can reduce transfer fees - or even wave them entirely - thanks to a new network model that relies on private interconnection rather than public transit, helping avoid network carriers and huge bills. The company estimates that its customers could save more than $50 million per year in cloud bandwidth fees. The Register reports that Google, although mentioned on the Bandwidth Alliance website, is not an actual member - but it has been offering reduced transfer fees in partnership with Cloudflare for the past three years. Cloudflare runs one of the world's largest CDNs - its network sits between the end-user and the online service provider. 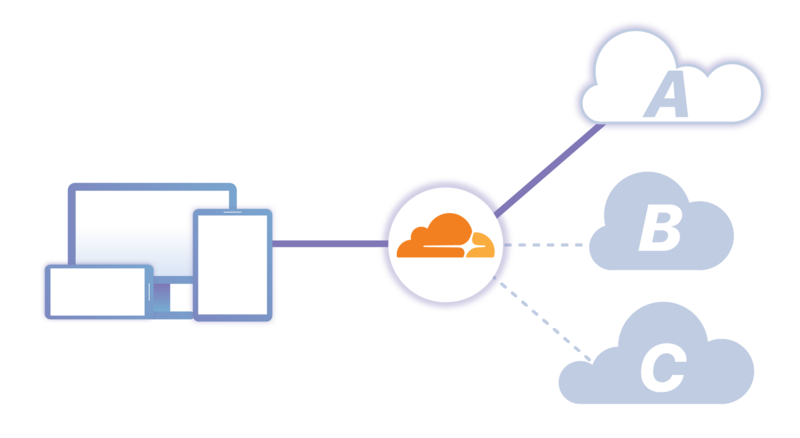 By caching content on its own servers and placing it closer to the edge, Cloudflare can improve availability for websites and applications, decrease page loading times and protect against DDoS attacks. The company’s network is linked into more than 150 Internet exchanges - that’s more Internet exchange points than any other network in the world. The Bandwidth Alliance aims to use this extensive reach to make the services of its members more attractive in terms of pricing. This will be achieved using Cloudflare's Argo traffic routing engine, which enables the company to optimize traffic routing based on metrics like latency and throughput. In the instance of Bandwidth Alliance, routing will be optimized around cost - something that's not taken into account when traffic is routed using traditional Border Gateway Protocol (BGP). Customers might still have to pay some transfer fees, but Argo's cost optimization feature will be enabled for free. "The Bandwidth Alliance is providing this benefit to all Cloudflare customers at no additional cost," Matthew Price, CEO of Cloudflare, wrote in a blog post. "If you're hosted with a member of the Bandwidth Alliance, your data transfer fees should decrease when the required technical and accounting systems are activated by the member. Some of those systems are live today. Some are planning to go live over the months ahead." The initiative could improve competition in the cloud market, since it makes it cheaper to change providers, and encourage wider use of multi-cloud strategies. It follows on Cloudflare's partnership with Google as part of the CDN Interconnect program - which offered mutual customers transfer fee discounts of up to 75 percent. To launch the alliance, Cloudflare signed up a number of very different organizations: IBM and Microsoft are traditional public cloud vendors, Backblaze specializes in remote storage, Digital Ocean and Packet offer cloud services aimed at developers, while Vapor IO is building an edge computing platform. Readers will notice that the member list doesn't include the largest public cloud provider in the world - Amazon Web Services, criticized in the past for its high data egress fees.